The year ahead could see the outbreak of the third Chechen war, which, in turn, could be the death knell of the Russian Federation in its current borders. (…) For the past five years, the situation has been more or less quiescent, though neighboring republics have been rocked by violence. The lull in Chechnya, however, ended in early December with a series of bloody incidents in the Chechen capital of Grozny. The group behind the resurgence of unrest is advocating a “Caucasus Caliphate,” with ties to al Qaeda and, more recently, Islamic State. There is at least an indirect tie between outside support for Islamic radicalism in the Caucasus and Putin’s sponsorship of Russian secessionism in eastern Ukraine. 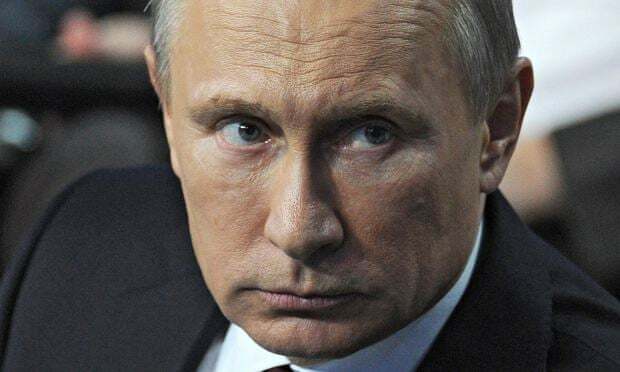 By proclaiming ethnicity and religion as the basis for Russian statehood and aggression against its neighbors, Putin is inadvertently stoking the forces of secessionism in those parts of Russia that are historically and culturally Islamic. Needless to say, Talbott, himself a former Deputy Secretary of State under Bill Clinton, member of both the Council on Foreign Relations and the Trilateral, married to Brooke Shearer, also a member of the Council on Foreign Relations and a senior aide to Hillary Clinton with links to banks Commission, is the archetypal US “deep-stater”. He is also considered a “Russia specialist” which, in Foggy Bottom parlance means a rabid russophobe. A person like Talbott is very much “plugging in” the US deep state and if he says that next year there will be an insurgency in Chechnia, we can be darn sure that the US will try to create one. In fact, I am quite sure that there is zero chance of overthrowing Kadyrov, nevermind of Chechnia breaking away from Russia. If only because there is overwhelming evidence that the Chechen people want nothing to do with Wahabi terrorists and that they in fact form a very strong power base for Putin. Not only that, but Russia truly has formidable military capabilities in and around Chechnia. They keep a low profile and do not get involved in law enforcement or counter-insurgency operations, but only because the Chechens handle these tasks superbly. But make no mistake, Russia can flush at least 100’000 highly trained, motivated and superbly equipped men into Chechnia drawn from the 58th Army of course, but also from various special forces, Internal Ministry and State Security troops. The US deep state is simply saturated with russophobia, phobia in both the sense of “hate” and “fear”, and so it should. Just like all the other western invaders of Russia in the past, the AngloZionist Empire has completely cornered the Russian Bear which now has to fight for its very survival. Neither side will back down and only one will prevail. And my money is not on the US, neither is Talbott’s, at least now deep down. He must realize that the writing is on the wall. Hence the hate and the fear.